On Monday, June 30th, 30-year-old Jose Alfaro reported to the San Pedro Police Station that his apartment, located on Coconut Drive, had been burglarized. According to Alfaro, he left his apartment on Sunday, June 29th along with his wife, Rebecca Alfaro to socialize and upon returning on Monday, June 30th at 6AM he noticed a ladder on the side of the house near his apartment window. When he entered his apartment, he noticed that the window was open. A further search of his apartment revealed that a blue case with assorted jewelry,along with an HP laptop was missing. The total value of the missingitems was $3,500. Police have visited the crime scene and investigations are ongoing. On Sunday, June 29th, 40-year-old KariaRippon visited the San Pedro Police Station to report that her north Ambergris Caye home, at Essene Way, had been burglarized. According to Rippon, on Saturday, June 28th she went to sleep at around 9:30PM along with her daughter. When she and her daughter got up on Sunday, June 29th at around 5AM they noticed that their laptop was missing. Upon inspection Rippon noticed that her HP laptop, Kodak digital camera, cell phone and MIFI were missing. The items had a total value of $1,395. Further investigation revealed that the burglar gained access through a bedroom window. Rippon has not requested court action, but has asked police for assistance in recovering the stolen items. On Monday, June 30th, 41-year-old Narciso Flota reported that on Sunday, June 29th his rented F&S golf cart (#14) with license plate SPC2616, went missing. According to Flota he left the golf cart on Pelican Street at around 8PM and when he returned at 9:30PM the golf cart was gone. He immediately informed the police. The complainant later found out that the golf cart was near Manuel Heredia Flamboyant Park. Flota and the San Pedro Police visited the area to find the golf cart which had been crashed and flipped over. Six occupants were on the golf cart, they were detained and escorted to the San Pedro Police Station. Damage caused to the golf cart is estimated to be at $900. The culprits were identified as 20-year-old Natasha Acosta, 28-year-old Nalisha Acosta and four other minors. Flota is requesting court action. On Monday, June 30th at around 10AM, acting upon information received of a suspected stolen vessel police visited the Tarpon Area. They found a 25-foot white and blue hull fiberglass vessel with black stripes with the named “KomJa”, with a 100HP Yamaha engine. The vessel was found behind the residence of 43-year-old Thomas Young. The vessel is registered by the Belize Port Authority under certificate number BPA-A19550, registration number SPR-0525, issued on February 5, 2013. Young was asked to produce the vessel custom entry form or bill of sale but was unable to do so. Police investigation revealed that the vessel was stolen from Xcalak, Mexico about three or four days before its discovery. The bow of the vessel shows an emblem “Amigos Del Hol Box”. 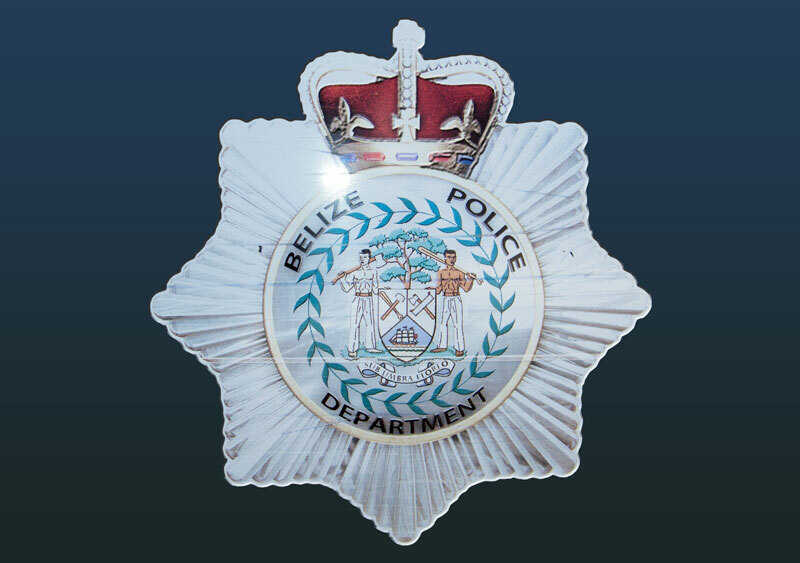 The vessel was confiscated and taken to the Belize Coast Guard compound until investigations have been conducted on how Young gained ownership and acquired the Belize Port Authority registration and certificate without having a vessel custom entry form or bill of sale. On Tuesday July 1st 70-year-old William Hubert, American retired businessman owner, of #3 Wahoo Street, San Pedro Town, visited the San Pedro Police Station at around 12:50PM and reported that on 28.06.14, one of his tenants - Marvin who has been renting from him for the past six months walked in his room, held him down and reportedly poured Clorox into his eyes. He further stated that he was locked up in his room until 01.07.14 at 8:30AM when his other tenant took him to a grocery store. He was later taken to the police station where he made a formal report. His injuries were classified as Wounding. Police are seeking two persons as investigations continue.